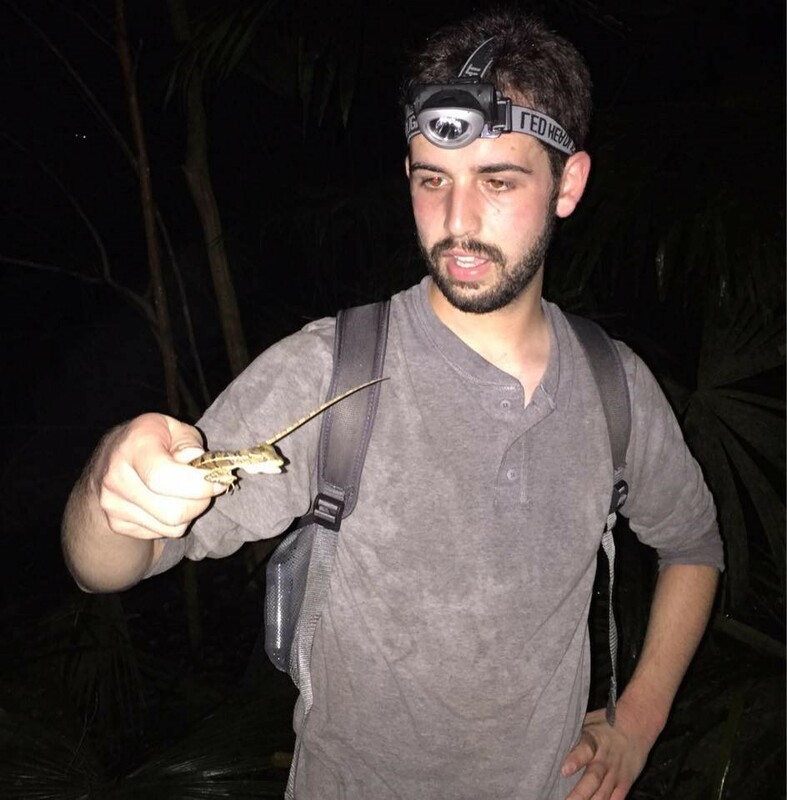 Today’s post is a guest post by Andrew Mularo, an undergraduate student in the Department of Evolution, Ecology and Organismal Biology. He is currently doing his Tropical Behavior Evolution and Ecology research project under Dr. Rachelle M. M. Adams and Dr. Jonathan Shik. 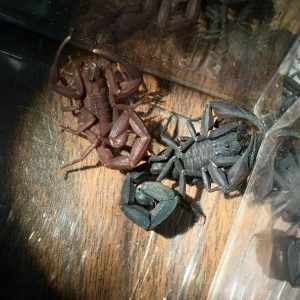 You may love them or you may fear them, but no one can deny the incredible ecological importance of spiders and scorpions. 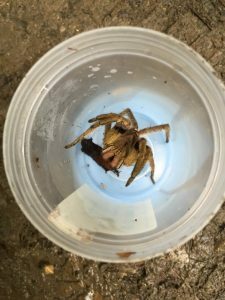 As an aspiring biologist, I have chosen to study the interactions between arachnids and their environment in the tropical rainforests of Panama for the 2017 Tropical Behavioral Evolution and Ecology course. The tropics are a biodiversity hotspot for the majority of the world’s organisms, so there are plenty of creatures to look at. From the smallest spiderling to the largest tarantula, I am curious to see how these cryptic and intriguing animals interact with their ecosystem. 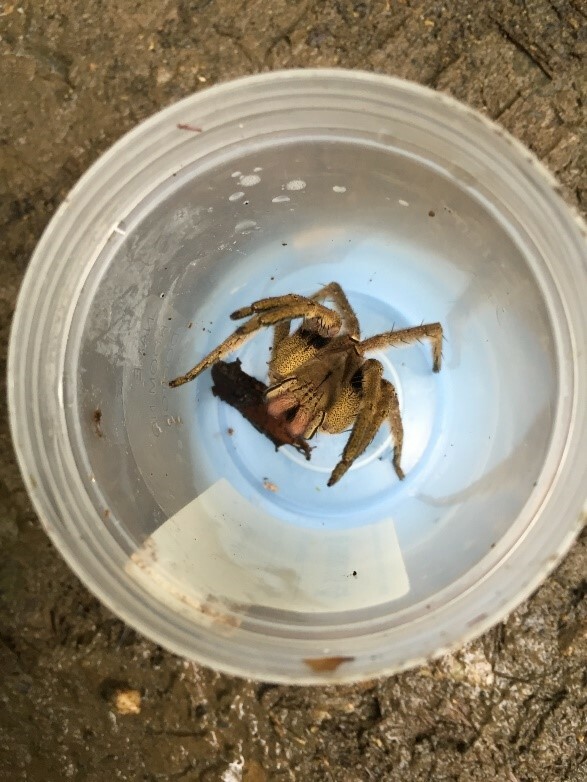 For my project, I am doing an observational study where I am assessing the relationship between leaf litter and arachnid diversity and abundance. I am accomplishing this by creating several 50 meter transects in the Panamanian rainforest, sampling leaf litter with 1 square meter quadrants along each transect. For each quadrant, I take a measurement of leaf litter depth, and sift through the leaves to extract any organisms out of the area. Back at the lab, I sort through the organisms, first finding any arachnids in the sample, and then any other insect or invertebrate, such as ants, beetles, millipedes, snails, mites and many others. With these data, I hope to make a correlation between leaf litter abundance and arachnid diversity and abundance, as well as a correlation between the diversity of potential prey items and arachnid predators. are several occasions where I have observed some extremely imposing arachnids in the tropical forest. One of these includes the huntsman spider, an extremely large nocturnal species that does not rely on a web to capture its prey. This family of spiders is very poorly researched, and is largely unknown how dangerous the venom is for the majority of species. However, they are quite shy, and often scurry away at the sight or sound of a human. Another fascinating group of organisms I see occasionally are scorpions. The two pictured below are from the genus Tityus, whose venom is very potent. I found the two in the picture below, which we believe to be different species, huddled in close quarters in the water well of a bromeliad. While potentially dangerous, these are a relatively uncommon sight in the rainforest. Nevertheless, it is always good to be careful where you step. While many of them are feared, arachnids are some of the most fascinating organisms on the planet. They come in all shapes and sizes, and have a wide array of interesting characteristics that are of great interest to scientists. Being interested in biology since I was a child, I have always dreamed of coming to the tropics so I could study the vast diversity of organisms, and I could not have picked a better group of organisms to focus on!